Free trades. That's what the Robinhood app offers. No wonder over a million people have used it to buy and sell stocks. The idea of free trades was revolutionary when Robinhood launched in March 2015. Most brokerages charge $7.99 or more to purchase or unload a stock like Apple (AAPL), Facebook (FB) or GE (GE). "We believe that everyone should have access to the financial markets," say co-founders Vlad Tenev and Baiju Bhatt. 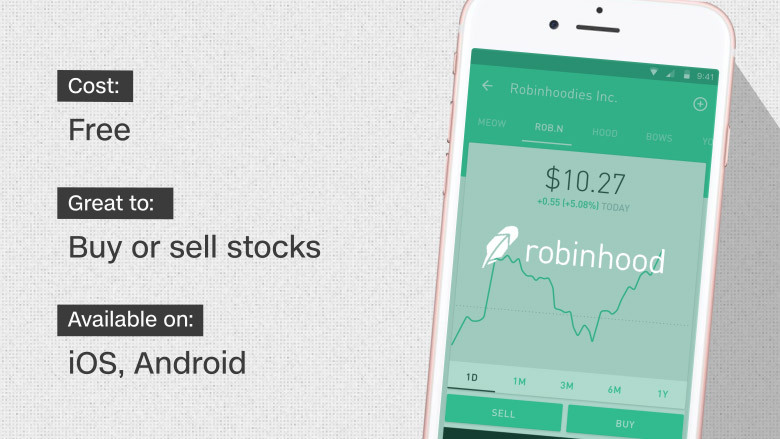 Robinhood also doesn't require you to hold a minimum amount of cash on the platform. "You just have to have enough money to buy one share," says Tenev. At the moment, Robinhood is available to American and Chinese investors. You can trade U.S.-listed stocks and funds. How much $$$ do you need to start investing?